The Protective Yantra can be prepared on any day. It should be drawn on a Black Colored piece of cloth using any kind of White Color. Then the practitioner should sit down comfortably, place the Yantra in front of him on a Wooden Board, and chant the Shiva Mantra- Om Namah Shivaya-ॐ नमः शिवाय – 108 times using a Rudraksha Beads Counting Rosary. Lastly, the prepared Yantra should be hung on a wall in the house, room or premises, which is sought to be protected from snakes. 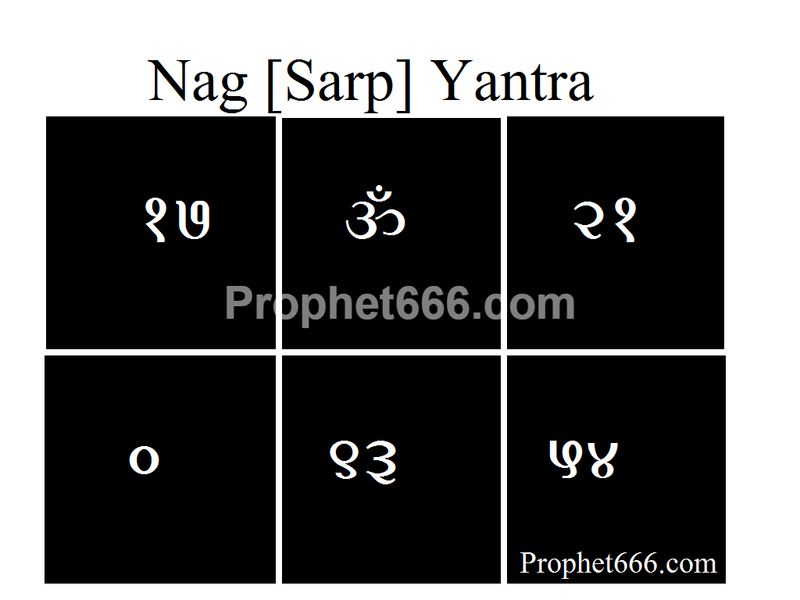 In the Hindi language, this Protective Charm is known as the Sarpa Bhaya Nivarana Yantra. This talisman should be useful for those people who live in a perpetual fear of a snake attack or have a phobia and psychological condition relating to a fear of danger from snakes.